The freight carrier expects to grow its market share in the U.S. and Canada, its second strongest region next to China. The optimistic outlook seems to be based on solid grounds. 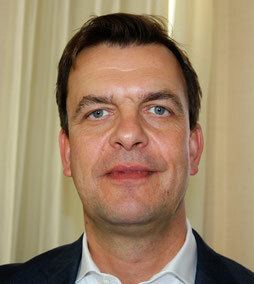 Bernhard Kindelbacher is not known as manager who delivers phraseology or high-blown concepts to an audience. Instead, what he says has substance and depth. This was the case in New York last week, where Lufthansa Cargo’s Director North America gave the media an overview on his carrier’s activities in the U.S. and Canada. Bernhard’s main message: the valley of tears which has lasted since 2014 has been crossed; there are better times ahead. How much better they will be – if at all – remains to be seen, since the economic implications caused by Mr Trump’s upcoming presidency are still very nebulous. Leaving speculations about the Trump administration’s future trade policy and manufacturing revitalization initiatives in the U.S. aside, Mr Kindelbacher based his statements more on research findings: the latest Seabury study on cargo developments in North America. In their analysis on air freight, a growth rate of 3 percent in 2017 is forecasted. However, it's not just the Seabury data, spurring his and his sales team’s optimism, but also a number of internal changes for the better LHC has pushed forward lately, hoping to reap the fruits soon. Of first and foremost importance are the “Primary Air Freight Hubs”, the carrier has established in recent times. There, 75 percent of the tonnage uplifted by LH Cargo in North America passes through, accounting for an average load factor above 85 percent, says Herr Kindelbacher. These hubs are the big differentiator where technical innovations go hand in hand with optimized ground handling processes, including user-friendly pick-up times offered to customers, enabling a much faster and client oriented flow of goods, states Alexander Karst, Director Sales & Handling USA Northeast & Mid Atlantic. A key tool are the automated volume scanners called “Smart Gate” which measure the exact dimension of each single shipment together with web-based bar-coding systems helping to specify the throughput of goods including their storage if required, at which position within a warehouse and for how long they’ll have to stay. “The business is generally made on the ground, not in the air,” comments manager Karst. In other words, cutting-edge technology, individualized service offerings performed by well-trained staff are the key pillars to get ahead of the competition. According to this basic cognizance, LH Cargo has meanwhile converted five U.S. stations into “Primary Air Freight Hubs.” These are New York (JFK), Chicago, Dallas/Fort Worth, Atlanta and Los Angeles. Mexico City in Central America complements this quintet. “We have already seen the North American market improve during the last couple of months,” Bernhard noted. This might have been caused by a tentative recovery of the manufacturing industry in the U.S. that has picked up lately, stimulating the flow of components contributed by European producers or suppliers from the Far East. The same accounts for products like pharma and textiles that experience an upswing, he says. First signs of a wind of change that is sorely needed. "Ongoing overcapacity, lack of volumes and an aggressive pricing policy by carriers that operate passenger jetliners and don't care much about rate issues as long as they can fill up their lower decks with cargo have led to a dramatic yield decrease of 15 percent since 2015," Bernhard states. To compensate this frightening trend, which is not restricted to North America but has become a global phenomenon in cargo, LHC has set up a thorough cost-cutting program, resulting in continuous savings of €80 million yearly. On the product side, the carrier has taken steps to revitalize standard shipments, a much-neglected segment since years, Herr Kindelbacher admitted during the New York meet. Hard to comprehend since general cargo accounts for up to two thirds of all goods flown by LHC, with special shipments making up the remainder. A second new product called “myAirCargo” is offered to Lufthansa passengers since last August enabling them to send large or bulky souvenirs like paintings, artwork or exotic take-home gifts door-door by simply activating an LH App without caring about transportation matters. Bernhard emphasizes that it’s small but welcomed niche product, so far making up between 10 to 15 shipments per month sent from the U.S. to destinations in Europe. All transports, no matter if physically conducted by LH or UA, are based on similar quality features and enable faster operational execution. This is the lesson learned from the ANA-LHC joint venture. Turning to United’s part, manager Kindelbacher emphasized their tremendous improvement in freight matters lately, particularly in the field of quality. 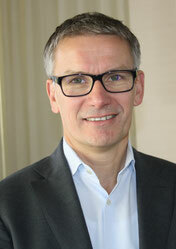 “United Cargo President Jan Krems has done a fantastic job,” he applauds.